Why Replace Factory Car Speakers With Aftermarket? Unless you have a relatively late-model vehicle that shipped with premium sound, there's a pretty good chance that your car or truck is begging for a serious overhaul in the speaker department. Whether your car speakers are starting to wear out due to age and use or they weren't ever that great, there are a ton of reasons to replace factory car speakers with aftermarket. The main argument against replacing speakers is cost, but dropping in direct replacement aftermarket speakers is often a great way to bump up your sound quality without breaking the bank. Although it can get pretty expensive if you upgrade to component speakers, that's all part and parcel ​of the spectrum of quality versus cost that you have to navigate when you upgrade a car audio system. If you are looking at an overall upgrade to your car audio system, then your factory speakers should still be one of the first components to hit the chopping block. It’s highly unlikely that the original equipment speakers in your car or truck will be up to the task of working with a premium head unit and amp anyway, so leaving them in place will severely hamstring your new dream system. In that case, you may actually want to stay away from direct replacement speakers. 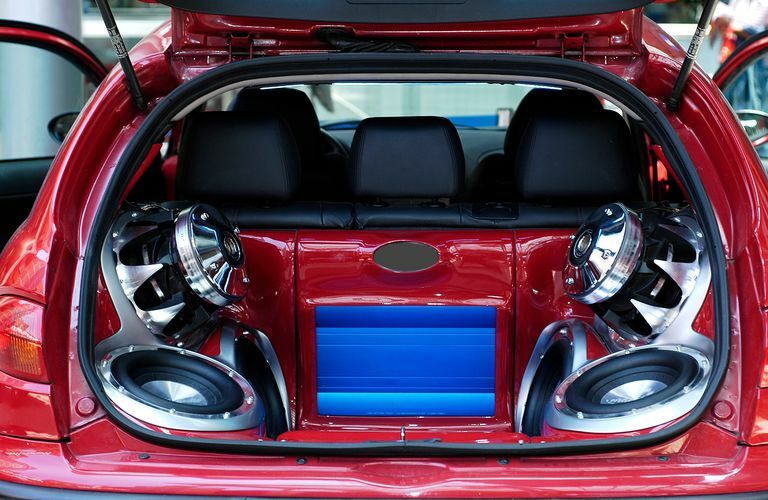 If you really want to get the most out of your new custom car stereo system, your best bet is to replace the “full range” factory speakers with high-quality component speakers and throw in at least one subwoofer. Although aftermarket full range speakers will usually still yield a quality improvement over your stock system, component speakers are hard to beat. If you want to squeeze the best possible sound out of your factory sound system and you don’t have an enormous budget, the speakers are a great place to start. Most OEM systems use “full range” speakers, which is a fancy way of saying that each speaker has a single driver that’s responsible for producing the entire audio spectrum, or at least as much of it as a relatively compact car speaker can. The advantage here is that full range speakers are comparatively cheap and take up less space than individual component speakers, but you end up paying elsewhere with muddier sound. If you replace car speakers that fall into the "full range" category with two-way or three-way speakers that have multiple drivers or even individual component speakers, the difference in sound quality can be remarkable. Premium aftermarket speakers also tend to be engineered better and constructed from higher quality materials than factory speakers. Most factory speakers use surrounds that are made out of foam and paper, which deteriorate over time. When speaker surrounds wear out, the sound quality drops significantly. High-quality aftermarket speakers tend to use rubber surrounds that last longer and facilitate the delivery of higher-quality bass. The cones in aftermarket units are often made from denser materials as well. That’s another one of the reasons a high-quality aftermarket speaker typically has better bass reproduction than a similarly sized factory speaker. So even if you don't have the money to spend on high-quality two-way or three-way speakers, replacing old, worn-out factory speakers with new units will typically result in better sound. Replacing your factory speakers won’t make up for a low-powered head unit or amp, which is why many audiophiles choose to design a new system from scratch. In that case, it’s even more vital to replace low-quality factory speakers with superior aftermarket units. In the same way that two-way and three-way speakers provide better sound than full range speakers, component speakers are even better at reproducing high highs and low lows. Since you can handpick a head unit and amp to match your speaker configuration, this type of setup allows you to blow other car audio systems away. Replacing factory car speakers with real woofers and tweeters is more complicated than just dropping in some two-way or three-way speakers, but it allows you to design a real soundstage that’s perfect for your car. But Will New Car Speakers Fit? One of the biggest problems with replacing factory car speakers with component speakers is that you can run into space and mounting problems. For example, if you replace four coaxial speakers with some combination of left-, right-, and rear-channel woofer, tweeter, and mid-range component speakers, you won't be able to just drop the new ones into the enclosures designed for the factory units. Even when you do go with aftermarket coaxial speakers, space can still be a challenge. You may be able to get away with just buying replacement speakers with the same measurements, but you can also run into some trouble. For instance, 6-inch-by-9-inch is a common speaker size, and the numbers refer to the length and width of the speaker. However, different 6-by-9 speakers will have different depths, so some units may not fit in some applications. Some units also incur a significant amount of tweeter protrusion beyond the basic mounting height, which is why it's so important to consult a fit guide before you upgrade your car speakers. Why Do Car Speakers Blow Out? Do You Need a Speaker to Line Level Converter in Your Car?